Wicklow have advanced to the semi-finals of the All-Ireland Junior Cup after coming from behind to beat Ballyclare on Saturday afternoon. Wicklow travelled to Antrim as underdogs against a Ballyclare side sitting top of the Ulster league with six bonus point wins out of six, while the visitors were coming off a defeat against Gorey in their last game. Ballyclare started the game the stronger, with a powerful burst by centre Willie Stewart sucking in the Wicklow defence, before a penetrating run from outside centre Joel McBride saw him break through and touch down between the posts. One conversion later and Wicklow trailed 7-0 after just five minutes. Wicklow got their first score of the game through a Niall Earls penalty inside 15 minutes, before taking the lead on the 20 minute mark. A strong run by Luke Gersekowski off a turnover saw the wing-forward combine with Fergus Ward. Ward passed inside to the onrushing Simon Breen and the winger burst through to score a their first try of the game. Earls converted to put Wicklow in front by 10-7. Ten minutes later, Wicklow went over once again. Following some slick build-up, Billy Ngawini threw to Simon Breen, whose opposite number could only bounce off before driving over in the corner to score Wicklow’s second try. Niall Earls brilliantly converted once again to extend Wicklow’s lead to 10 points at 17-7. 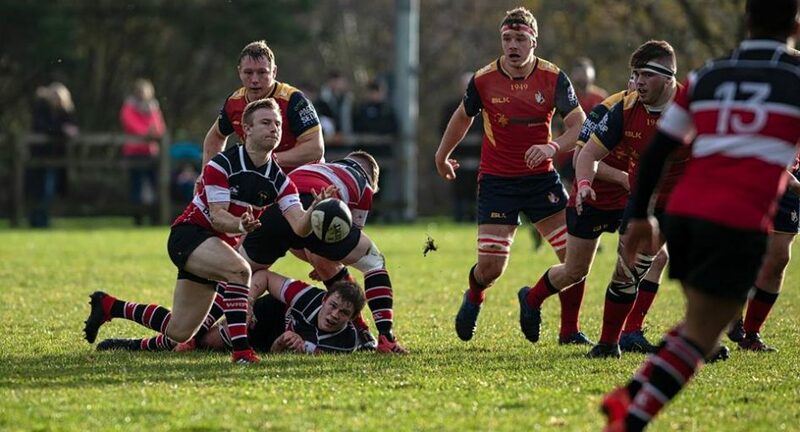 Wicklow were 23-10 in front early in the second half through a Niall Earls penalty, before Ballyclare reduced the deficit to six following a converted try from young prop Dean Jones. Another Reid penalty pulled Ballyclare closer to Wicklow at 23-20. All of the momentum was on the side of the Ulster side, but Wicklow were not to be denied a spot in the semi-finals. Shane Farrar, who was brought on in place of the injured Niall Earls, released Ben Porter brilliantly to touch down wide on the right. 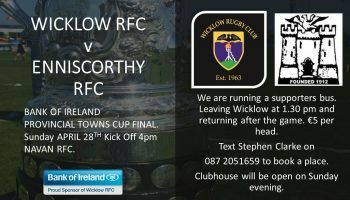 While the resulting conversion was missed, Wicklow held on and ran out 28-20 winners. 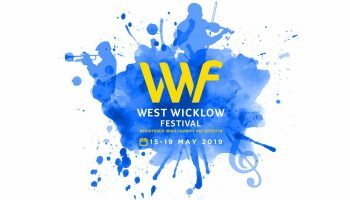 The tricky ties will continue for Wicklow as they have been drawn against Leinster League leaders Enniscorthy in the semi-finals after Enniscorthy defeated Dundalk 23-18 in the last-eight. In the other semi-final, Ashbourne will take on Clonmel.